Trappist monk Thomas Merton apparently was very concerned with silence and retreat from the world and its opposing force, that of engagement with the world and its ourward pull. Apparently this quote is from a collection of journal entries Merton made in Asia shortly before his accidental death during the trip. Not being a philosopher or a spiritual person, I couldn’t tell you what I think of “the creative action of love and grace”. However, the conclusion I’m more and more leaning towards is that the most important thing in life is one’s internal growth and what external actions (hopefully positive or beneficial to others) stem out of that. Merton, Thomas. “Serious Communication”: The Asian Journal of Thomas Merton, eds. Naomi Burton, Brother Patrick Hart and James Laughlin, p. 29. New York: New Directions, 1975. Quoted in Brox, Jane. 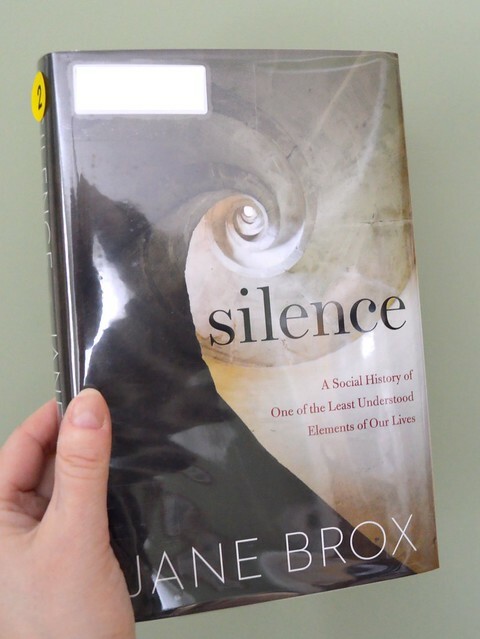 Silence: A Social History of One of the Least Understood Elements if Our Lives. Boston: Houghton Mifflin Harcourt, 2019, p. 225.